You are currently browsing the Carters Crypt blog archives for July, 2017. A vampire-themed “Beauty and the Beast”: When Isobel’s neighbors sacrifice her sister as tribute to the mysterious “demon” who dwells in the nearby castle, Isobel offers herself as a substitute. Her new master, Reynard, proves very different from what she expected. As he preys on her body and ravishes her soul, she finds herself falling in love with a creature who isn’t even human. How can she endure the heartbreak when Reynard wants to send her home for her own good? 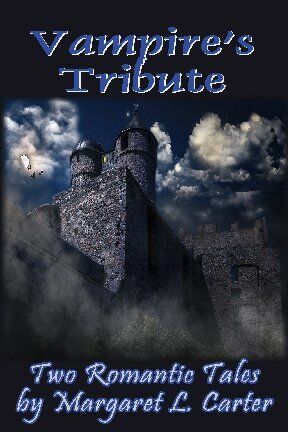 A thousand years later, a descendant of Isobel’s sister travels to England to delve into her family’s history…and discovers that the ruined castle on the hill is not totally abandoned. These two stories, “Payer of Tribute” and “Demon on the Hill,” were originally published in GOOD GUYS WEAR FANGS 4.